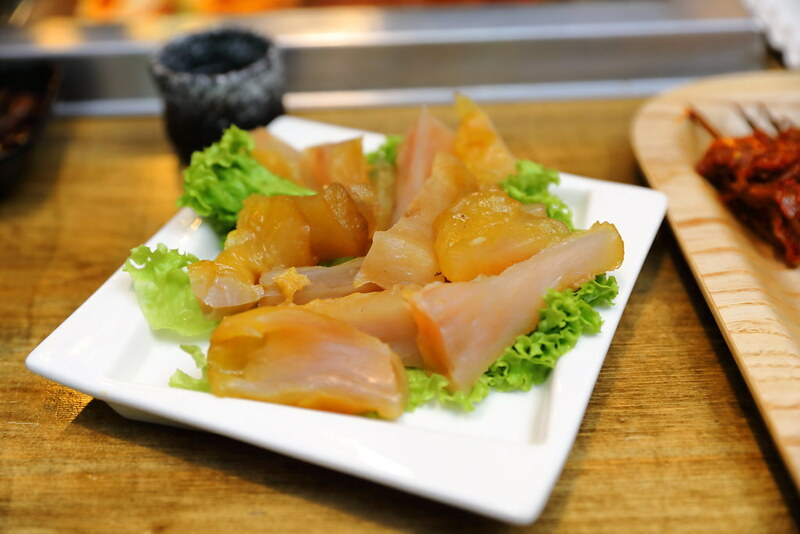 The folk at Si Wei Mao Cai (思味冒菜) has opened a new Chuan Chuan Xiang concept - Si Wei Xiao Chuan Chuan (思味小串串) just a few doors down the road at Mosque Street. 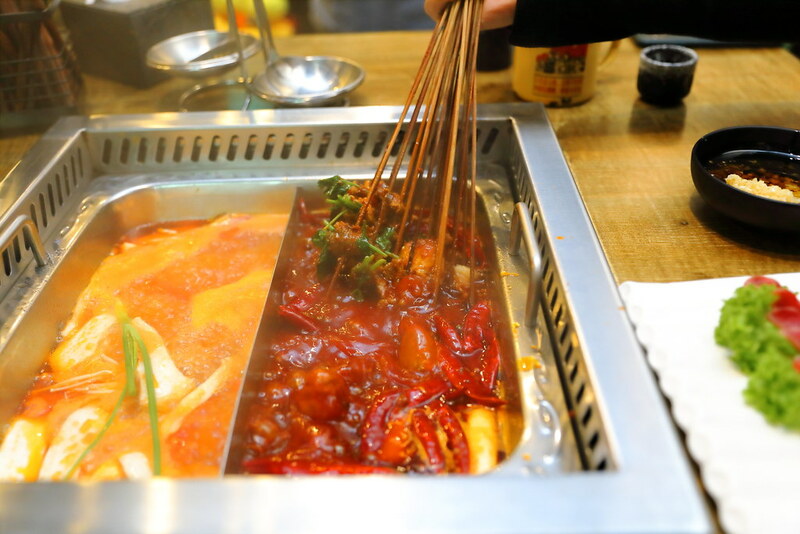 It is a hotpot concept whereby the dishes comes in sticks and cooked in the hotpot. Ordering here is quite simple. First is to chose the soup base among the 7 different choices. We went for the Mixed Pot ($12) with two choices of soup base. For the soup base, we had the Sichuan Spicy Soup with Butter Oil and Tomato Soup. 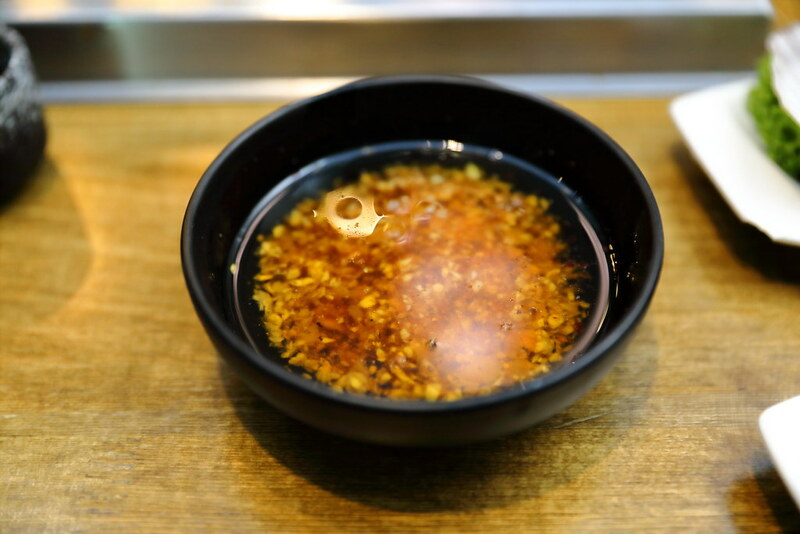 The sichuan spicy soup base is really fragrant while the tomato soup impressed me a lot. Made with real tomatoes, you can taste the different and freshness in it compare to those cost saving restaurants. It is the best tomato soup base I have eaten. 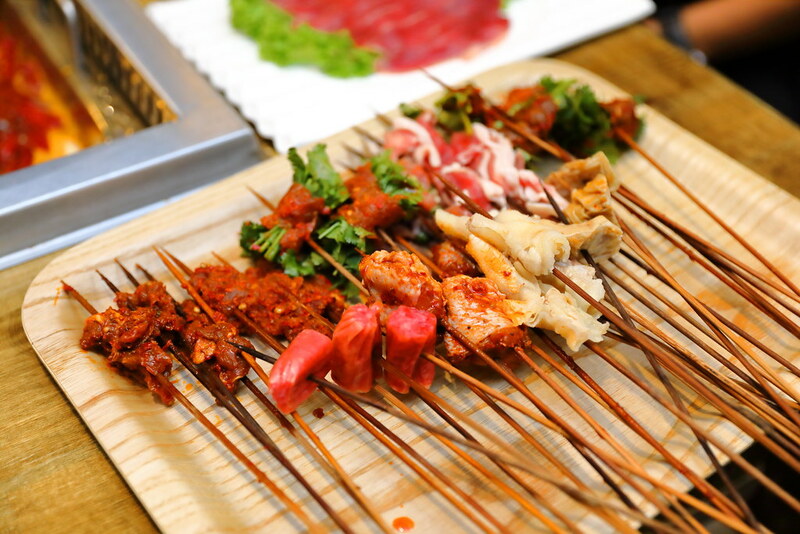 Next is to pick your ingredients which comes in sticks from the ordering sheet. Each stick ranges from 30 cents to 50 cents. 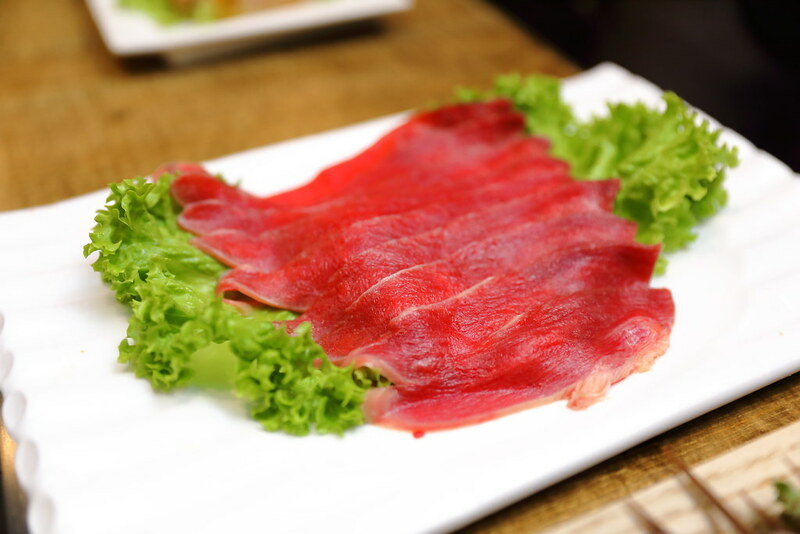 A variety of meats and vegetables are available on the menu. 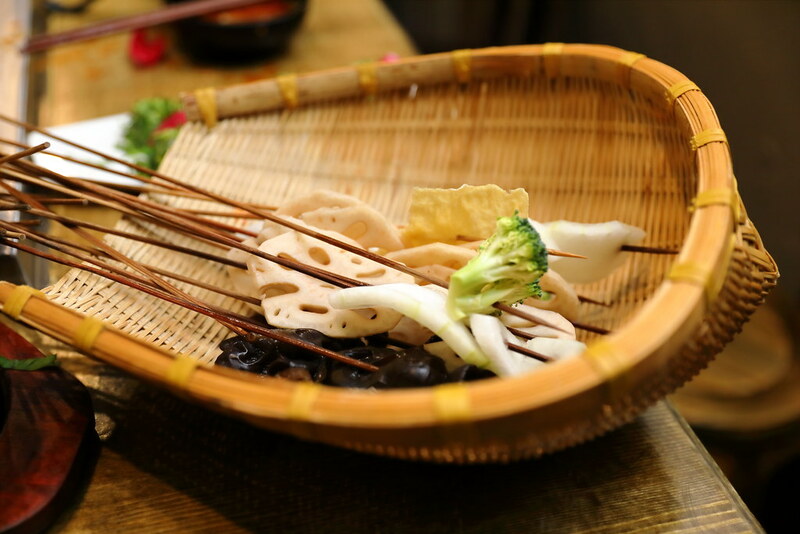 The last step which is the most simplest is to dip the sticks into the boiling soup base and cook the ingredients for consumption. 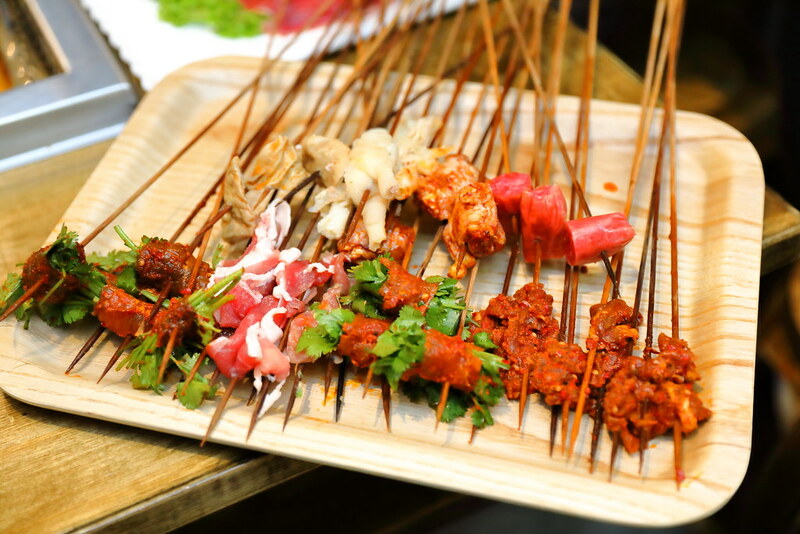 Besides the different ingredients that come in stickers, there are also more premium ingredients that are served plated ranging from meat, seafood and vegetables to make it an even more sumptuous meal. Some of the items we ordered are Chinese Herb Shrimp Paste ($8.80), Scallop ($3 each) and Pork Balls with Coriander ($6.80). 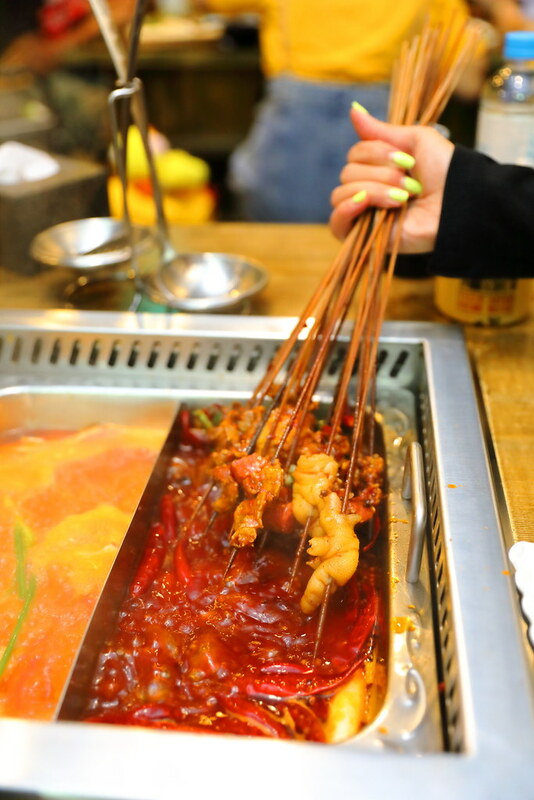 There are also so exotic ingredients on the menu for more adventurous diners such as the Beef Tripe, Beef Tongue, Beef Tendon, Frog and Fresh Pig Brain. Guess I am the adventurous type as I ordered the beef tongue. I have always enjoyed the crunchy texture of it. I was so excited when I saw Pig's Brain on the menu. 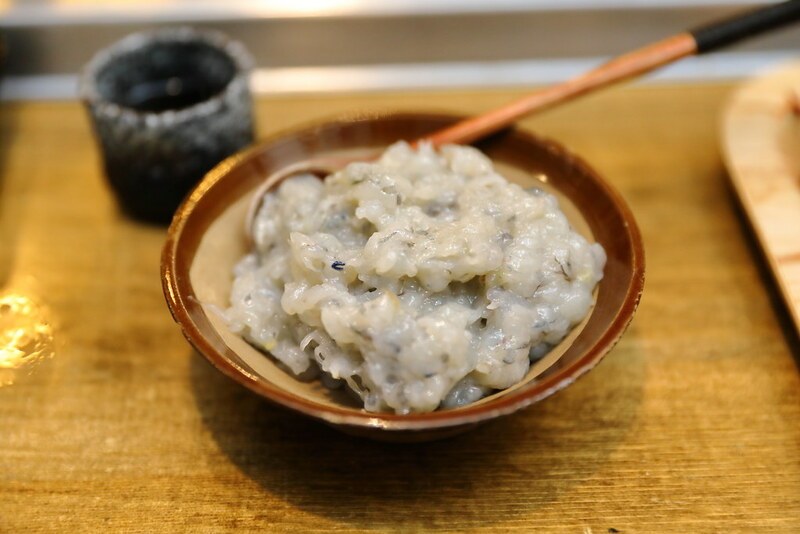 It is a dish I have not eaten for a long time. 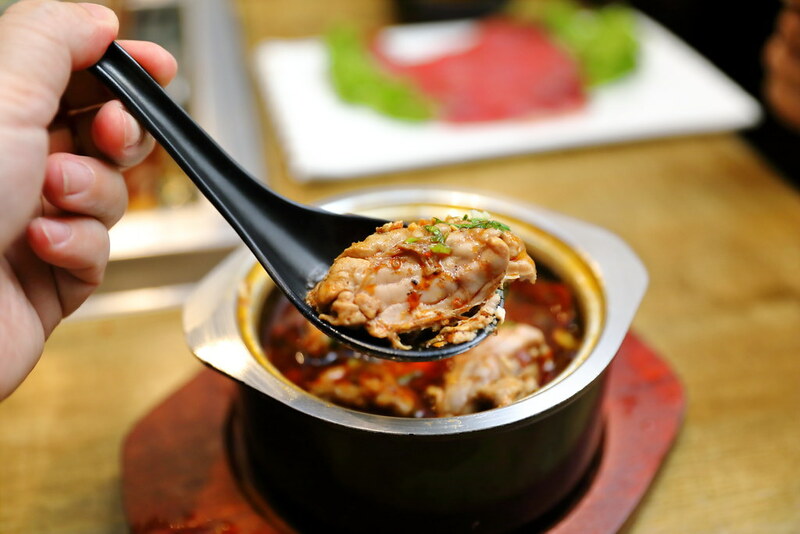 The pig's brain here is cooked in a spicy mala sauce which complements the creamy texture excellent. I think I was basically the one finishing up the whole bowl. 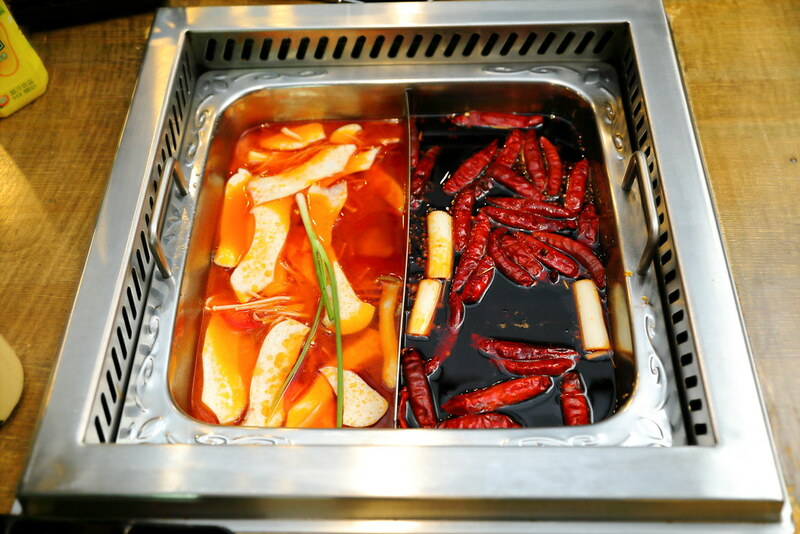 A great hotpot place needs to have 2 basic elements, good soup base and fresh ingredients. Si Wei Xiao Chuan Chuan (思味小串串) has definitely manage to do so. 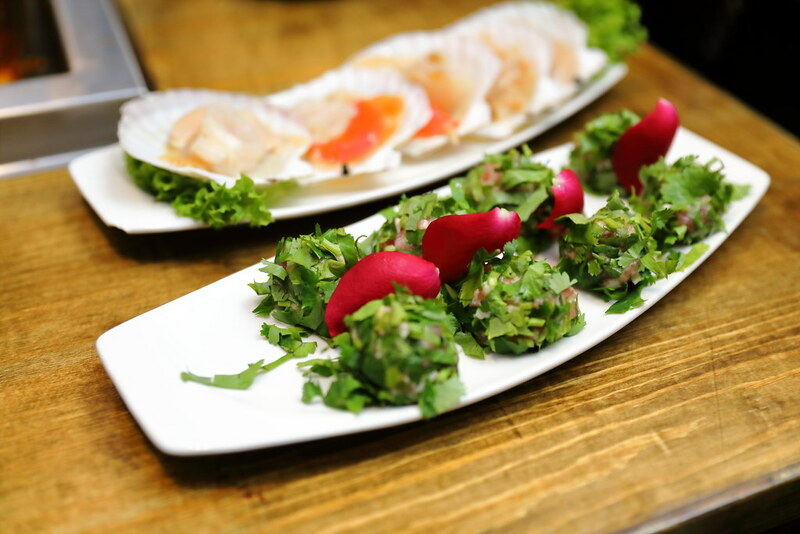 In addition, it is quite a fun and interactive experience to be cooking and eating with a group of friends.